In the summer I drink more iced coffee than I do hot. Especially with the way this summer has gone thus far and seems to be shaping up to be. I got to wondering why I should brew hot coffee only to make it into iced coffee. Well, I found out that there is a great alternative that makes a lot of sense but I had never discovered before. It’s called “cold-brewing,” and is just what the name conjures up in you mind when you hear it. The truth is, if you put something in water that is at all water soluble, meaning it can dissolve, it will infuse the water with its flavor. Age whiskey in a sherry cask and it takes on flavor from the wood. Put berries or herbs in your vodka for a few months, and you’ve got infused vodka. Coffee works the same way. Put coffee grounds in water for twelve hours, and boom, you’ve got coffee. That’s all cold-brewing is, and it works great, though we’ve been led to believe that coffee must be hot brewed to be palatable and become what we all recognize as coffee. Obviously, heat does accelerate the process, but that’s not all it does. Heat also makes coffee much more acidic, which some coffee tasters demand for top “cup quality.” But the tides of taste may be turning against that static viewpoint. Important coffee shops nationwide are going cold. Cold-brewing, once relegated mainly to the home, is catching on in coffee shops across the country, and here’s why: With temperature change comes change in taste, but because cold-brewed coffee eliminates most of that temperature change, flavor is locked in. In other words, your day-old cold-brew won’t taste stale like day-old coffee. Cold-brewing closes the smell-taste gap. That phenomena whereby coffee smells great to some people, but they then find the taste to be off-putting. Taste is in the chemistry, and exposing coffee grounds to hot water releases oils that won’t dissolve at lower temperatures. These oils, however, are full of acidic compounds that give coffee its bitter bite. But along with that bite comes acid-shock, which anesthetizes the tongue and prevents the taster from perceiving the subtle nuances in coffee’s flavor. Sure, that acid may be nice in a hot cup of coffee, but for iced coffee, it’s a detriment. It doesn’t let you perceive coffee’s luscious fruitiness. It may be why so many people add milk and/or sugar to coffee in order to make it more palatable to their taste. 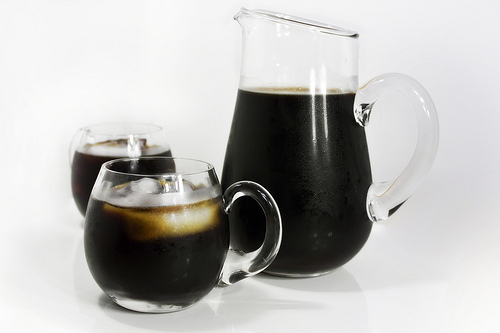 Cold-brewed coffee has been found to be 67 percent less acidic than hot-brewed. Without all that acid, the burnt flavor that plagues hot-brewed coffee is eliminated. Plus, the reduced acid makes it healthier for your stomach and your teeth. 2. Less acid means you will actually taste what you’re drinking. Cold-brewed iced coffee has big advantages, like, for example, it tastes better. 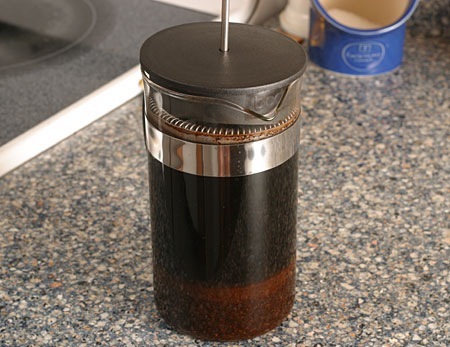 Since cold-brewing produces a low-acid drink, coffee’s other flavors are more readily detected. Those undertones of chocolate, fruit, and nuts jump to the forefront. You’ll actually be able to taste the nuances that differentiate Huehuetenango beans from Guatemala, when compared to Ethiopian Yergicheffe, or Tanzanian Peaberry, for instance. Cold-brewing allows so many more coffee flavors to shine through, your bean of preference is likely to change regularly, giving you more satisfaction and variety in tastes and aromas. Also, the flavor of cold-brewed coffee won’t change over time. Cold-brewed coffee has never been hot, so its chemistry doesn’t change as it cools, as is the case with hot-brewed coffee. As soon as you filter out the grounds, you’ve got a stable solution. With temperature change comes change in taste, but because cold-brewed coffee eliminates most of that temperature change, flavor is locked in. In other words, your day-old cold-brew won’t taste stale like normal day-old coffee. 3. Cold-brewing is easier than pie. Don’t be intimidated by a new process. 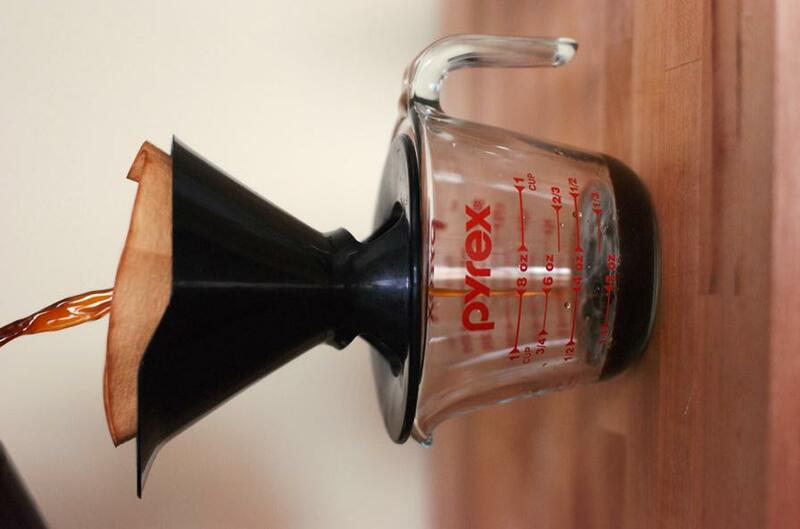 Cold-brewing coffee couldn’t be easier. All you need is a pitcher or a jar with a lid. A mason jar works perfectly, and something to strain out the grounds. Combine one cup of coarsely ground beans with four cups of cold or room temperature water, give the mixture a stir, and let the magic of infusion go to work. The mixture should sit for about 12 hours, so make a batch at night and it will be ready to drink in the morning. Before drinking it, though, strain the solution through a coffee filter, a fine mesh sieve, or layered cheesecloth so you don’t get a mouth full of grounds. Filter the mixture once or twice, and you’ve got yourself delicious coffee that will stay good for about 10 days in the refrigerator. I prefer using a French press, myself. I simply mix the grounds and water at about a 1:4 ratio, and before using it, I then use the press mechanism as the filter just like I would do with hot coffee. If you don’t use that entire French pressed brew, simply pour the remainder into a pitcher, using a paper filter to pour it through if you wish. If you’re a technophile, cold-brewing machines do exist, but all they’re providing is agitation to mix up the solution, and an easy way to strain and store the coffee. You can be fancy without a machine. All you need to do is shake up the steeping grounds a few hours in. This is more than sufficient to mix the steeping cold-brew so it’s reasonably homogenous. The lazy truth about colloidal suspensions, like coffee or tea (where tiny particles are suspended in a water-based solution), is that dispersive forces do all the mixing for you. There are going to be equal concentrations of flavor throughout. 4. Avoid the Starbucks siren’s caffeine call and save your money for better beans. Cold-brewing exposes expensive coffee for what it is: a ripoff. Expensive coffee makers? Unnecessary. Using vinegar to break up the calcium carbonate deposits in your coffee maker? What coffee maker? The only thing that matters is the beans. 5. The truth will set you free: cold-brewing beyond iced coffee. Another wonder of cold-brewing is the versatility of the product. Because you’re dealing with a more stable solution, you can do almost anything with it. If you like your coffee hot, add boiling water to the concentrated cold-brewed syrup and you’ll have fresh hot coffee with all of the taste and low-acid benefits of cold-brewing. If you find that perfect strength cold-brewed mix, but don’t want ice diluting it, freeze the mixture and use coffee ice-cubes. As they melt, the iced-coffee won’t get any weaker. It’s perfect for a picnic or a day on the beach. Many recipes don’t call for brewed coffee, because it’s just too acidic, but cold-brewed coffee is perfect for adding the coffee flavor, without the acid. It’s great for baking or marinating, and it’s perfect for a nice cool coffee cocktail.